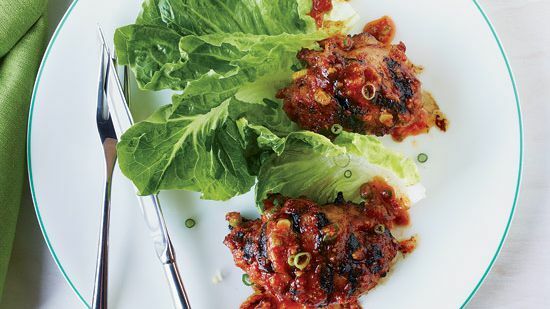 Star chef Paul Kahan is a big fan of chicken thighs because they have so much flavor and are so inexpensive—the best of both worlds. 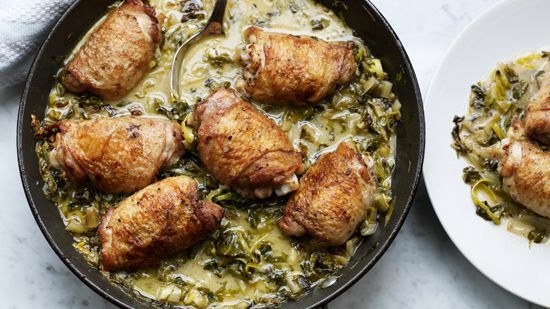 Here are a collection of recipes that really highlight these flavorful cuts, ranging from golden chicken thighs with charred-lemon salsa verde to tarragon chicken with spring greens. 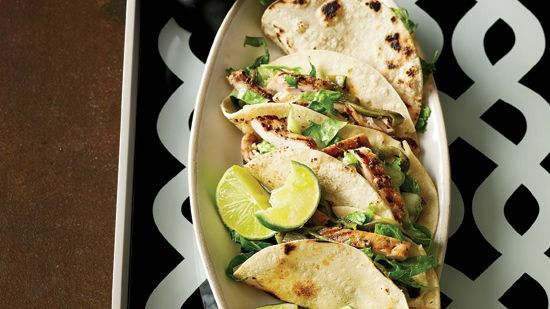 Try one of these savory recipes today! 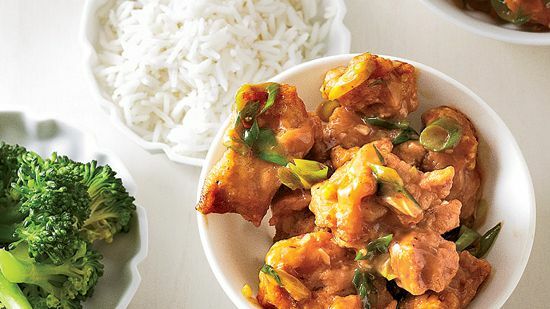 Luscious is the word for this Indonesian version of chicken and rice. 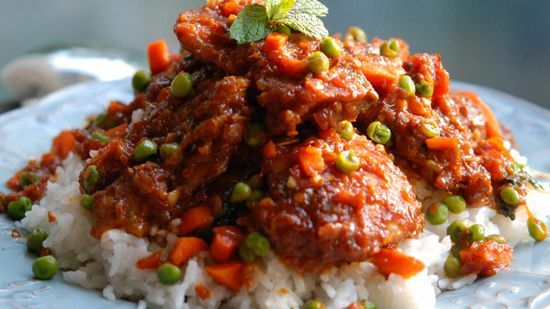 Coconut milk spiced with cumin and coriander cooks into the rice and sauces the whole dish. Adding a small amount of canned chipotle chiles in adobo (available at most supermarkets) makes a basic tomato sauce smoky and complex. Finishing the dish with queso blanco and chopped cilantro leaves intensifies the Latin flavor. 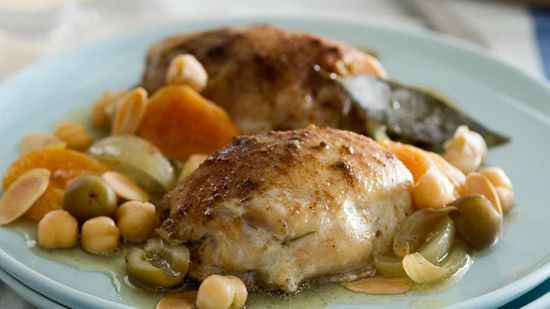 Chef Nancy Silverton makes the dish even better by roasting lemon slices, so they’re lightly charred, before stirring them into a piquant salsa verde. 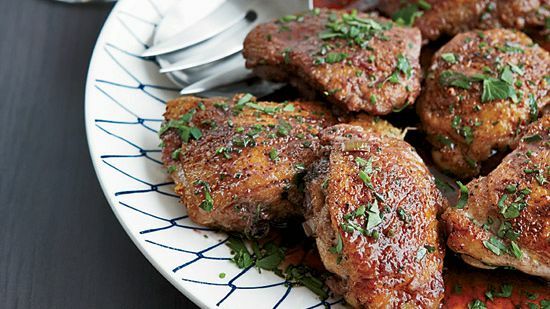 The sauce is an excellent accompaniment to these crisp-skinned chicken thighs, but it’s also great with roasted fish and vegetables. 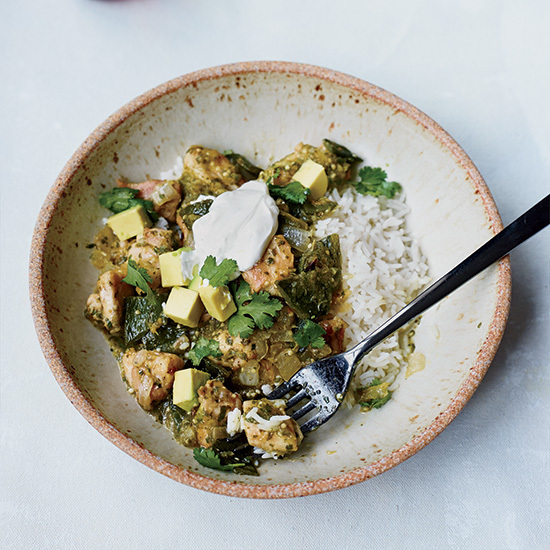 The secret to this tangy and spicy stew by chef Deborah Schneider is the warm tomatillo-and-chile sauce; topped with creamy avocado and cool sour cream, it’s a perfect meal. 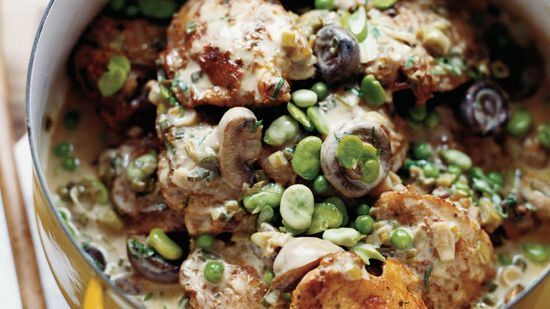 Schneider sometimes swaps pork, cubed tofu, or vegetables like zucchini or mushrooms for the chicken. "Right in Tijuana's red-light district sits Kentucky Fried Buches, where cooks fry chicken necks, skin on, to fill soft corn tortillas. I can't stop eating them," says Andrew Zimmern. 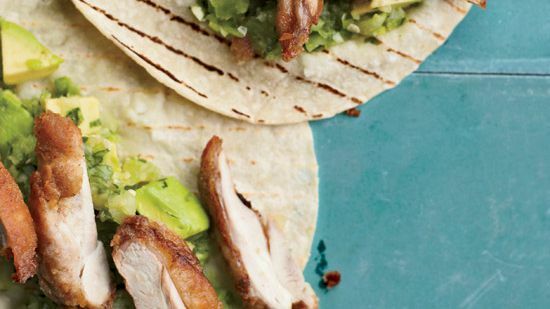 "At home, I fry skin-on chicken thighs until they're supercrisp, then eat them with avocado-tomatillo salsa, my family's favorite." "I grew up on chicken thighs," says Top Chef all-star Tre Wilcox. "These days I season them with crushed red pepper and star anise and braise them in a sauce with tomatoes and red wine." 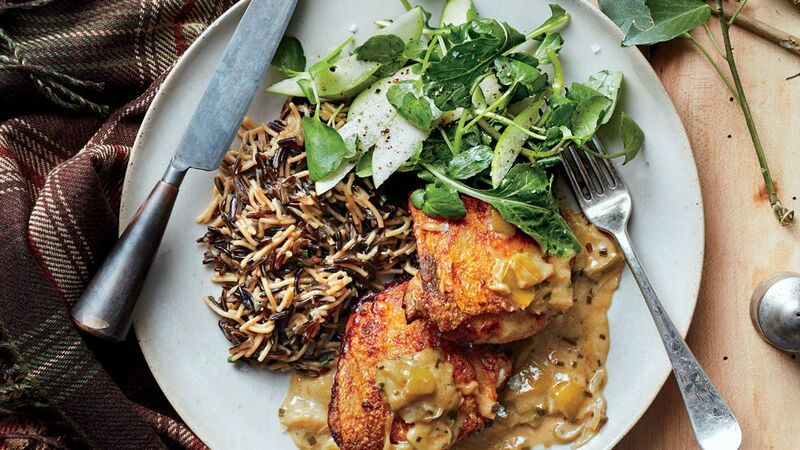 Erick Harcey, one of Minneapolis’ most celebrated chefs, serves this braised chicken with his supreme riff on Rice-A-Roni. Tart Granny Smith apples and cider vinegar not only tenderize the chicken thighs but also act as the base for the incredible sauce. At Hong Kong’s Yardbird, the cooks don’t just cut up chicken thighs to skewer for yakitori: They separate the meat into several different muscles and grill each individually. “This allows each piece to be cooked at the same speed,” says co-owner Lindsay Jang. Though it only cooks for half an hour, this dish has the satisfying, melded flavor of a long–simmered stew. Part of the explanation is that the garlic cloves are cooked whole and then mashed into the sauce. You'll always get a more mellow flavor from whole cloves than from chopped or crushed garlic. Sauvignon Blanc adds zip to the lemon-and-caper-infused liquid. 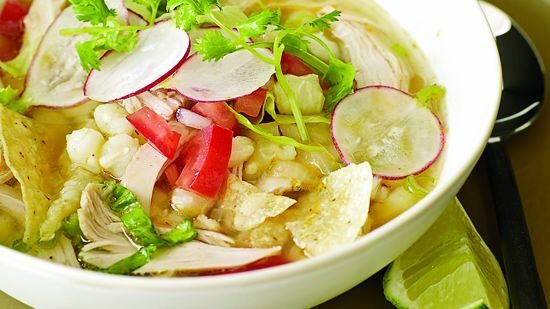 Andrew Carmellini learned to make posole with veal head; this recipe calls for chicken. 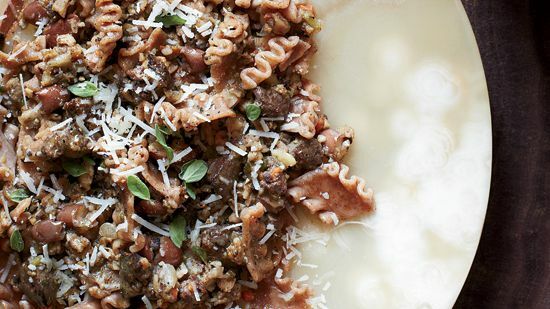 Tip: Making your own breadcrumbs is easy. Simply place torn stale bread or toasted bread in the food processor and grind well. 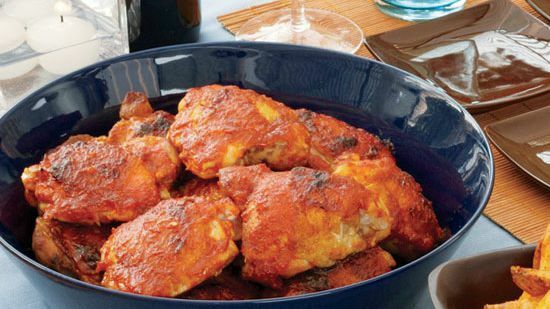 Paul Kahan is a big fan of chicken thighs because they have so much flavor and are so inexpensive—the best of both worlds. 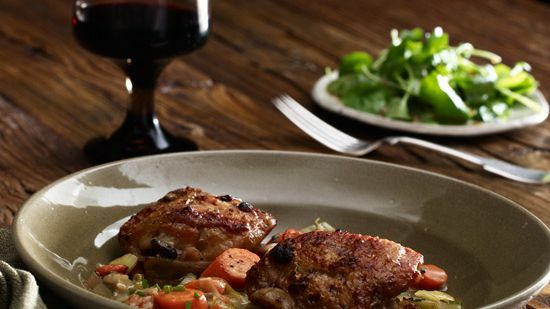 He braises the thighs in beer to make an excellent spring stew that he (naturally) pairs with more beer, such as Pere Jacques from Chicago's Goose Island Beer Company, a Belgian-style ale full of caramelized malt flavors. 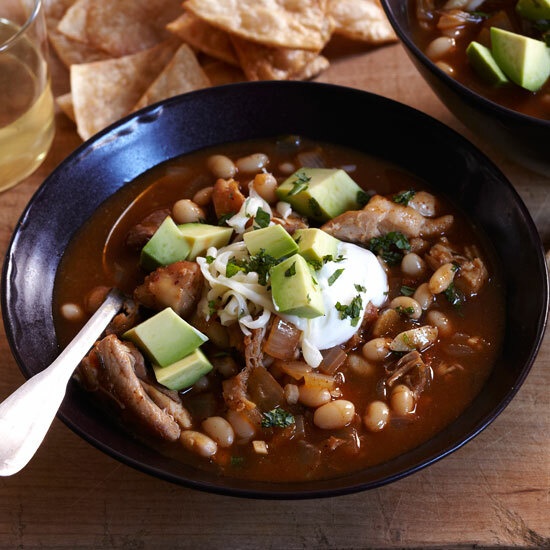 By using chicken thighs instead of breasts, Melissa Rubel Jaconbson gives this hearty, jalapeño-spiked soup ultrarich flavor. Wylie Dufresne is a genius at using avant-garde techniques to turn everyday ingredients into miraculous dishes. Chef Bill Kim’s recipes reveal what Korean barbecue is all about: salty-sweet, sticky, delectably charred meat. 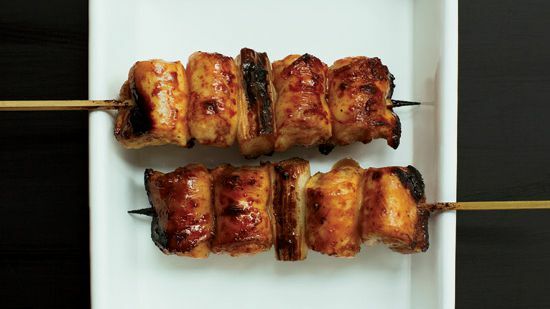 Kim uses miso, chile powder, fish sauce, sesame oil and ginger to flavor his Asian grilled chicken. 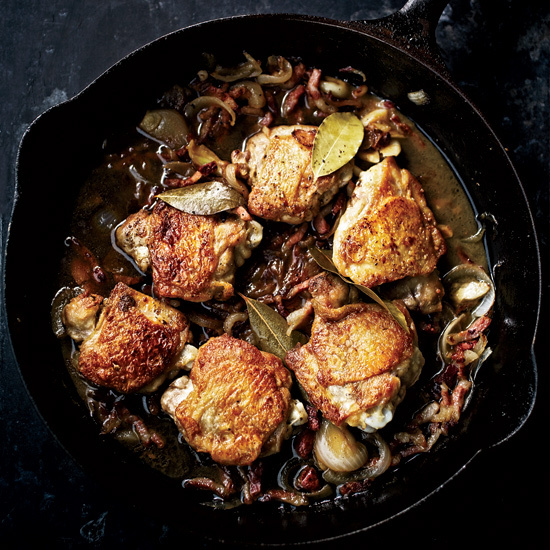 In this easy one-pot braise, you get the best possible combination: crisp-skinned chicken and a luscious wine sauce. 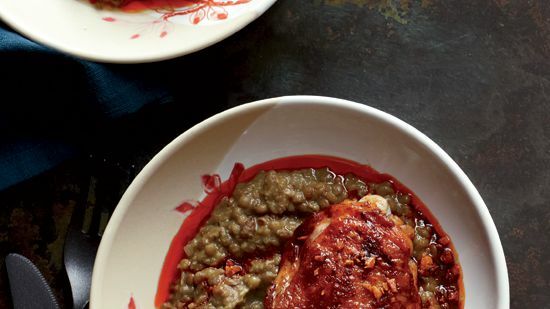 José Andrés seasons his crisp chicken and rich lentil stew with smoky Spanish paprika called pimentón. 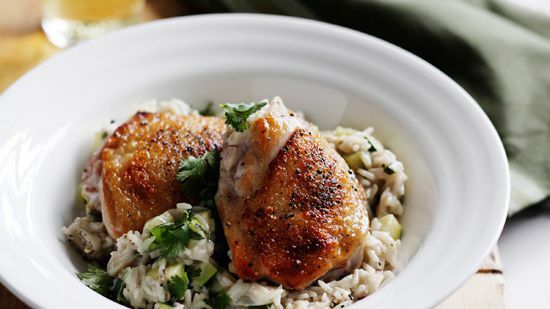 Serve chicken with buttered farro with chives. 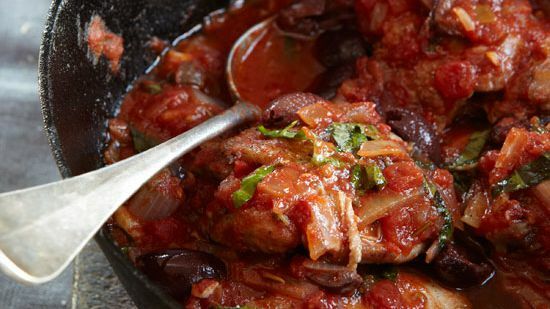 This is chef James Boyce's simple go-to, one-pot dish for entertaining. 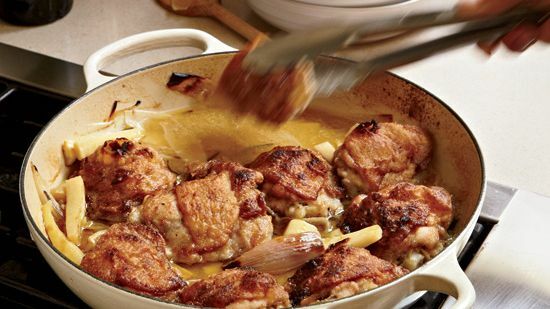 Serve the vinegar-braised chicken with buttered noodles, wheat berries or rice alongside, to soak up the tangy, buttery sauce. 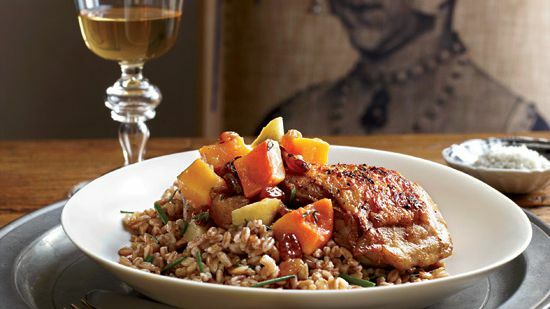 Gerald Hirigoyen named his restaurant after pipérade, a Basque vegetable stew that combines tomatoes, bell peppers and onions; here he uses a pipérade puree to braise chicken. 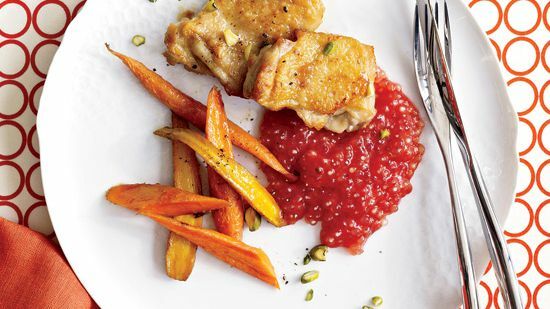 He says children love this lightly sweet sauce: "Anytime I'm cooking for my son and need to get him to eat something, I use pipérade and call it ketchup." 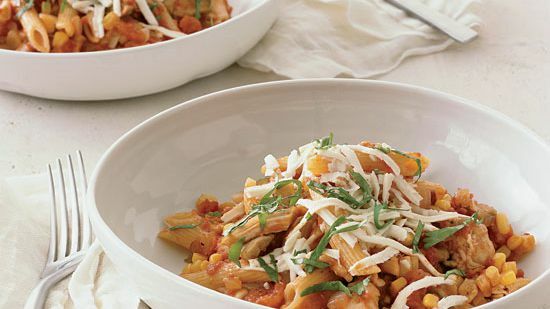 Farro is an ancient type of wheat that gives pasta a firm bite and sweet, grainy flavor. Chefs Steve Samson and Zach Pollack pair it with hearty, rustic sauces like this one, which gets its richness from quickly sautéed chicken livers. 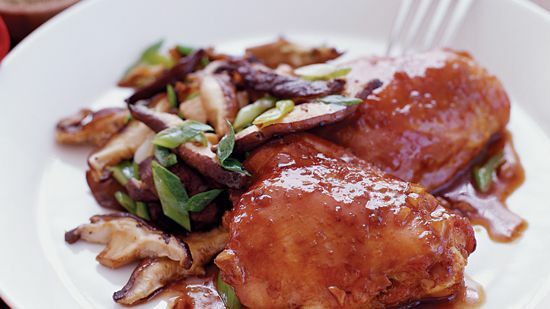 In this very traditional Filipino dish, chicken stews in vinegar and soy sauce. If you can find coconut vinegar—made from the sap of the coconut tree—it’s delicious here. 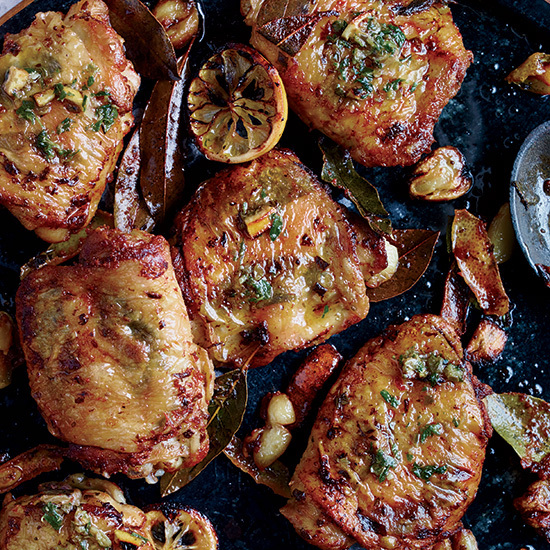 This aromatic chicken cooked with arugula, watercress and romaine lettuce makes a great one-skillet meal. 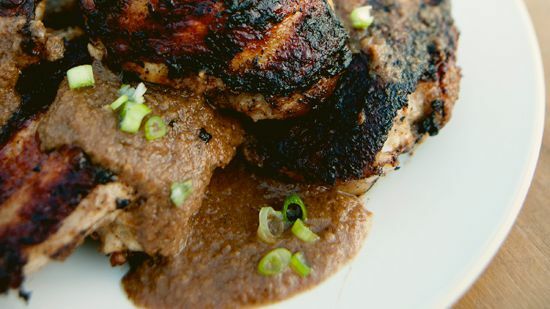 Andrew Zimmern's supertasty Thai chicken gets its heat from fiery fresh bird chiles in the quick homemade curry paste. This is a variation on the chorizo tacos that Justin Large makes at Big Star. You can replace the chicken strips with chorizo; for a vegetarian taco, Large recommends subbing in crumbled spiced tofu. 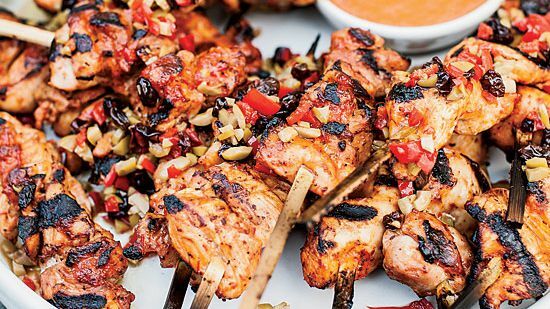 Susan Feniger’s sweet-and-tangy marinated chicken skewers are flavorful enough to eat on their own, but they’re even better with the chunky currant-and-olive relish. 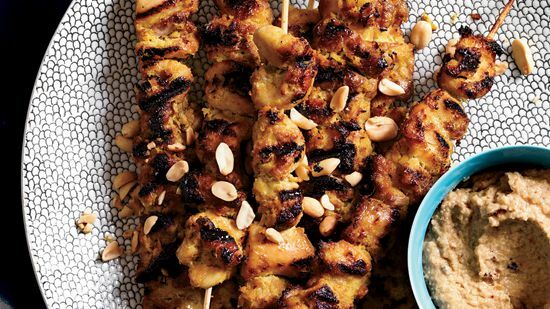 These deliciously spiced grilled chicken skewers are perfect with a sweet-and-tangy peanut sauce. Rich Torrisi and Mario Carbone often find inspiration in New York City's Chinatown. 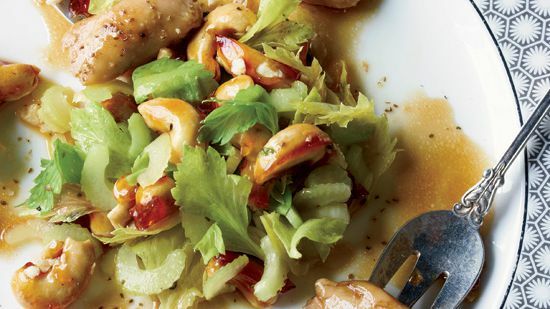 They transform Chinese cashew chicken into a fancy appetizer featuring the chicken "oyster"—the succulent piece of meat between the thigh and backbone, prized by French chefs. 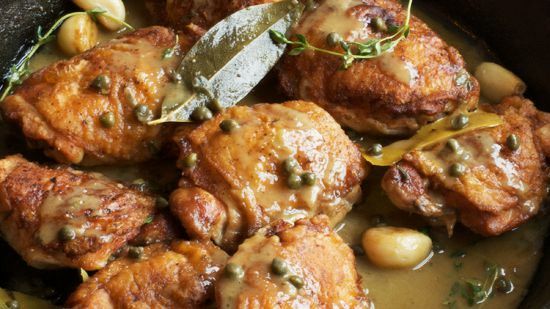 "The chicken is braised in the oven, but you can make it in a slow cooker or completely on the stove, in a casserole," says Jenn Louis. 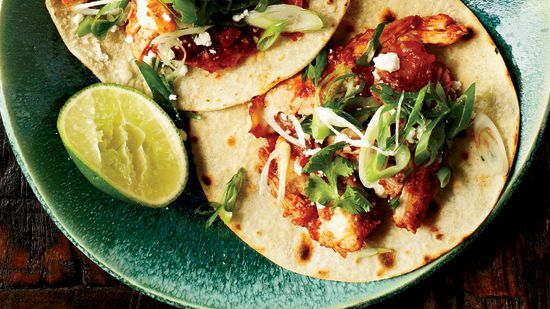 There are many versions of tinga—the smoky Mexican tomato sauce—and this one is especially easy, calling for only a few simple ingredients. The version here is lighter than take-out because the chicken is only lightly coated in cornstarch and is pan-fried rather than deep-fried. 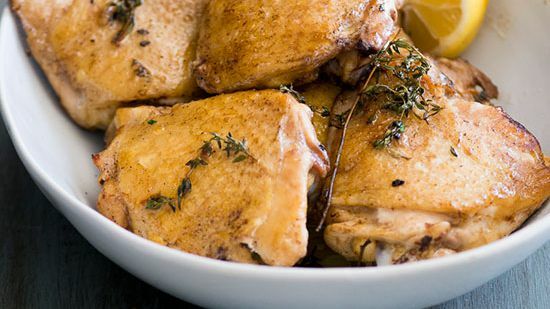 Fragrant lemons fill out the delicious marinade for these easy baked chicken thighs. 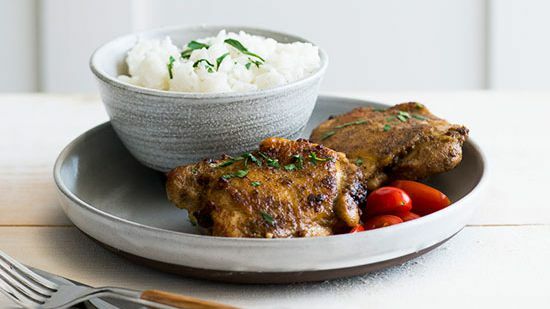 Fragrant and slightly spicy, these cumin-spiced chicken thighs are wonderful served with basmati rice. 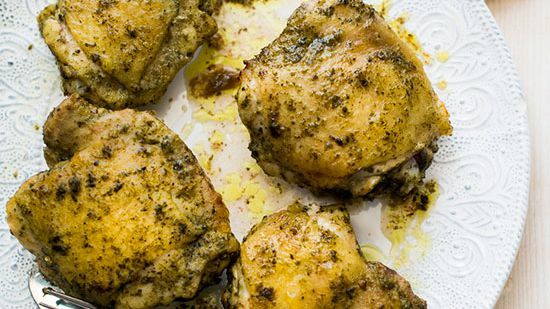 Paired with crusty bread and a simple salad, these easy chicken thighs are perfect for a weeknight dinner. 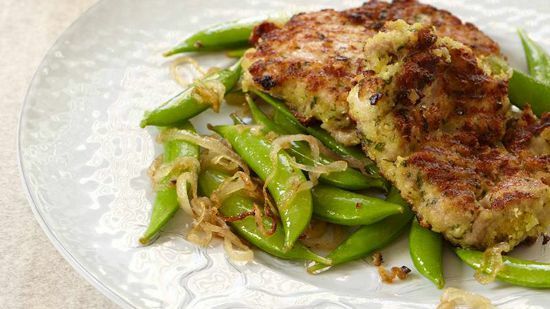 Before grilling chicken thighs, Mario Batali crusts them with a simple and delectable combination of garlic, bread crumbs, parsley, and—a surprise ingredient—anchovy fillets, which add a salty, complex flavor. 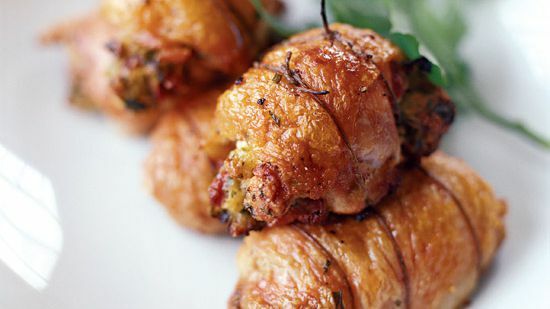 To make these crispy bites, chef Zoe Schor employs the French technique for making mousseline. 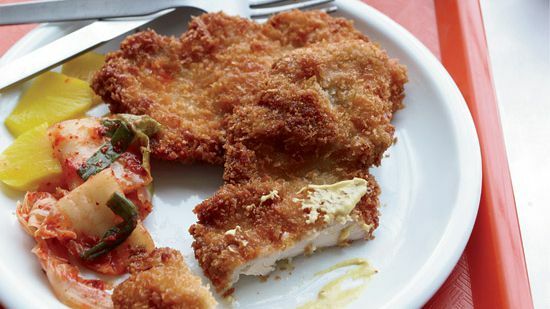 Double-breaded and fried, these are the ultimate homemade chicken nuggets—juicy and insanely crisp. Crispy, crunchy popcorn chicken bites paired with fried Korean rice cakes are an even better duo when dipped in gochujang. The rice cakes are almost like mozzarella sticks when fried—perfectly chewy on the inside and crisp on the outside. The Flavor Matrix author James Briscione encourages cooks to look beyond traditional food and wine pairings. He goes back to very basics: the aromatic compounds that link ingredients (often in unexpected ways). 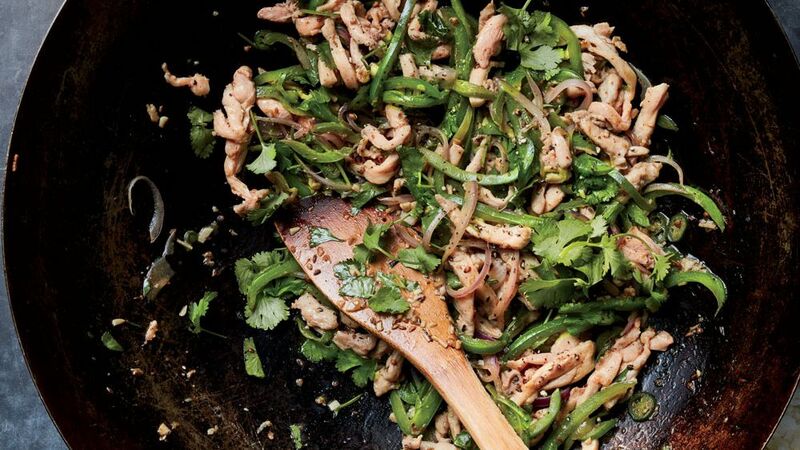 Here he pairs the floral, grassy flavors of this stir-fry with a New Zealand Sauvignon Blanc, also prized for its “greenness.” The wine’s long finish is also well suited to the chile heat in the dish.